"Some credit him with saving more human lives than any other person in history." These are the words of Bruce Alberts, former President, National Academy of Sciences, USA. half of the 20th century and saved up to a billion lives." He helped Mexico, which imported much of her required food to became self sufficient. Later accepting the request from M.S Swaminathan, then adviser to the agricultural minister, Government of India, he along with Dr. Robert Glenn Anderson came to India and averted an expected famine. The program helped India to become self-sufficient in food production and resulted in what later known as 'The Green Revolution'. "Throughout the entire course of recorded European history, from the remote times of which the Homeric poems preserve the dim tradition down to the present moment, there has occurred no calamity at once so sudden and of such appalling magnitude as the famine which in the spring and summer of 1770 nearly exterminated the ancient civilization of Bengal. It presents that aspect of preternatural vastness which characterizes the continent of Asia and all that concerns it. The Black Death of the fourteenth century was, perhaps, the most fearful visitation which has ever afflicted the Western world. But in the concentrated misery which it occasioned the Bengal famine surpassed it, even as the Himalayas dwarf by comparison the highest peaks of Switzerland. It is, moreover, the key to the history of Bengal during the next forty years"
To see the list of famines- Famines. Not only in India, in Pakistan, Mexico many Latin American countries, middle east and African countries followed the suit. 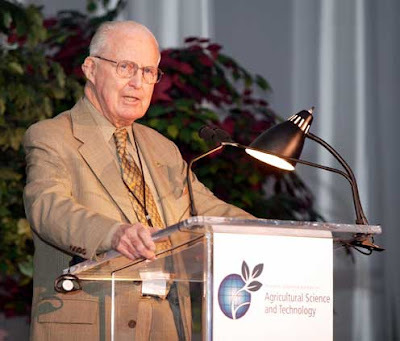 Borlaug's colleagues developed many rice verities, which later saved millions of life from starvation. From 1950-84 - at the time of Green Revolution food producion increased by a whopping 250%. Its easy to speech about hungry, easy to write an essay of hundred's of pages but to experience its entirely different. The difference was experienced by millions of people in the history of humanity and shed their life due to starvation. Its from this worst situation Borlaug saved the people.